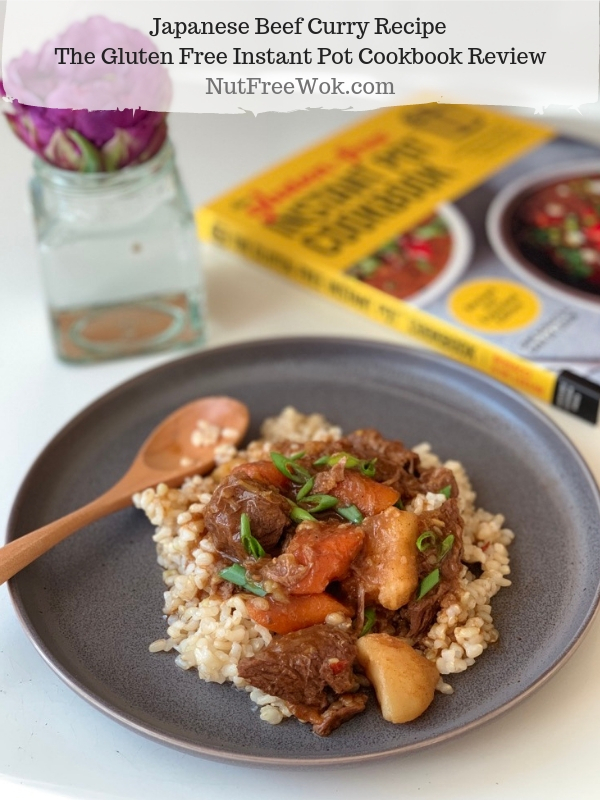 My family loves to eat Japanese Beef Curry and I am excited to share Jane Bonacci and Sara De Leeuw’s recipe from their recently revised and expanded cookbook, The Gluten Free Instant Pot Cookbook. Disclosure: The publisher sent me a copy of this cookbook to review. I only share what I love, all opinions are mine. This post is not sponsored by or affiliated with the Instant Pot company and some of the links are affiliate links. Jane and Sarah’s recipe for Japanese Beef Curry is gluten free as well as free of 7 out of the top 8 allergens as written. You can use coconut aminos or tamari sauce interchangeably, so the recipe can be either soy free or tree nut free. 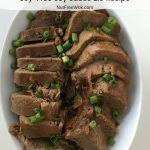 If you are avoiding both soy and coconut, you can use my recipe for soy-free soy sauce as a substitute instead. Japanese curry is typically made from a package of roux blocks which is easy to use but sometimes they might include wheat and sometimes peanuts, dairy derived ingredients, or other allergens in the ingredients. 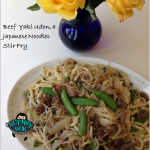 Jane and Sarah’s Japanese Beef Curry made from scratch recipe allows you to control exactly what you put into the recipe and it’s hearty and delicious too. Morton & Bassett Curry Powder (affiliate) – contains tumeric, fenugreek, coriander, mustard flour, cumin, gingerroot, black pepper, allspice, cayenne and fennel. If you are allergic to any of the curry ingredients such as mustard, check other brands. Spicely Organic Garam Masala Seasoning (affiliate) – contains organic cinnamon, organic coriander, organic fennel, organic cumin, organic black pepper, organic cardamom, and organic cloves. 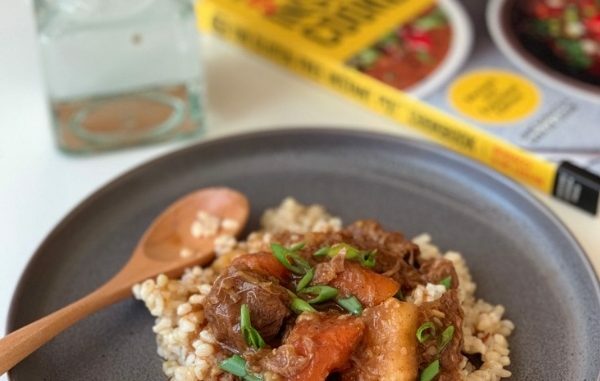 Japanese Beef Curry served over rice and The Gluten Free Instant Pot Cookbook Review. I was drying my umbrella outside after some April showers and 10 minutes later the wind knocked the tulip off its stem. Happy spring! I found the curry recipe very adaptable. The recipe serves 4 people but I needed enough curry for 6 servings so that we have enough for dinner and for lunch the next day. I increased the amount of meat, vegetables, and spices by 50% but used the same amount of liquid. My long legged trivet touched the bottom of the instant pot liner, the pan of rice fit on top of the trivet, and I could still close the Instant Pot lid. Follow the recipe exactly as written below and you’ll have perfect portions of Japanese Beef Curry with rice. If you want more curry, double the amount of meat and vegetables only and make rice in a rice cooker. 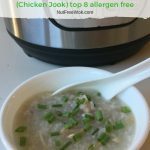 I like the original Gluten Free Instant Pot Cookbook a lot and think it’s incredible that Jane and Sarah added more recipes, including a chapter on favorite Asian inspired recipes. There are 100 tasty recipes for breakfast, appetizers, sides, pastas, soups/stews, grains, and desserts. If you want to try some of their Instant Pot recipes for free, such as Vegetarian Pad Thai, search on social media using the hashtag #TheRevisedExpandedGlutenFreeInstantPotCookbook. Jane and Sara dedicated an entire chapter of recipes to Asian Favorites: Kung Pao Chicken (leave the nuts out), The Best Beef and Broccoli, Chicken Lo Mein, Sweet and Sour Pork, Vegetable Pad Thai (leave the nuts out), Chicken AdoboAsian Style BBQ Pork Ribs, Honey Garlic Chicken, Japanese Beef Curry, Shrimp Fried Rice, Chicken Congee, Thai Basil Coconut Curry. I know some people who buy an Instant Pot but feel intimidated about using it. Jane and Sara share all of their reasons to use an Instant Pot, how to buy one, how to use it, and recommendations of what accessories to purchase so you can expand your repetoire of recipes. I love their pro tips which make cooking easier if you are new to eating gluten free, new to using a pressure cooker, or even new to cooking! 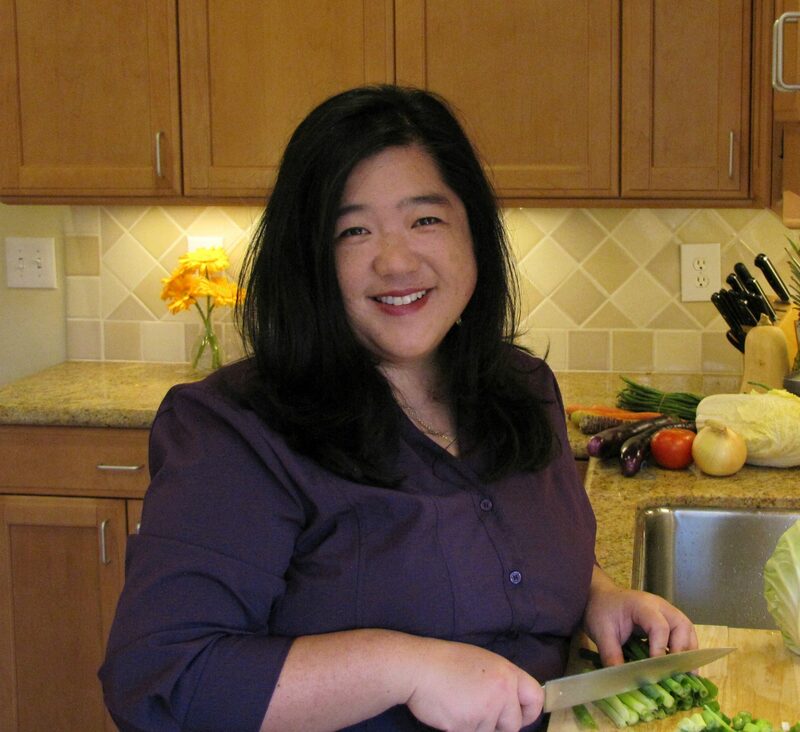 Both Jane and Sara are experienced cooking instructors, food bloggers, and cookbook authors and are absolutely wonderful. 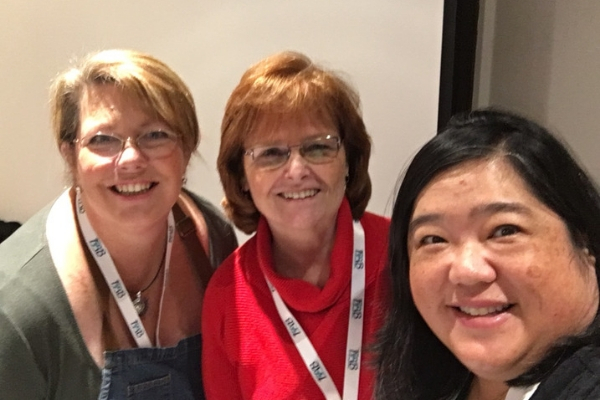 I had so much fun with them during our Instant Pot cooking demonstration at FABlogCon last year. You can order the revised and updated Gluten Free Instant Pot Cookbook on Amazon or other book retailers. 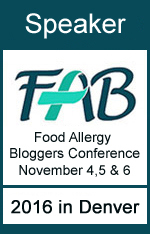 Sara, Jane, and I are getting ready demo making allergy friendly meals in Instant Pots at FABlogCon, November 2018. They’re lovely ladies! All the recipes are gluten free and each recipe calls out some of the common allergens. The free-from list is not always exhaustive, so I recommend reading the ingredient list for each recipe and then noting your own relevant labels yourself as needed. 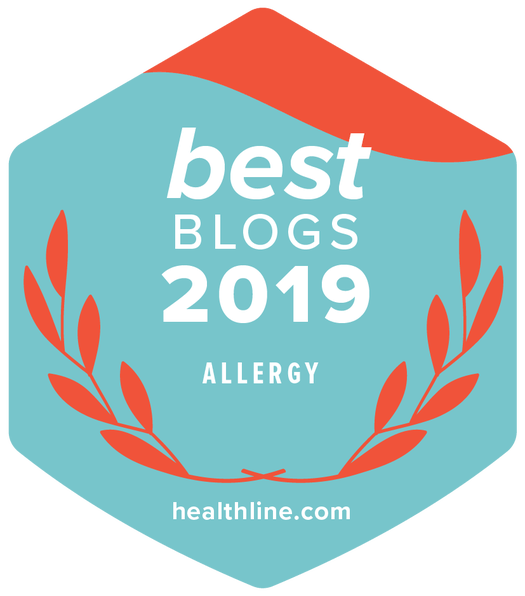 If you are avoiding other allergens besides gluten, there are many free-from recipes to choose from. Most are easily adaptable by leaving an ingredient out or using a simple substitution that you would use on typical recipes. The gluten free New York Style Cheesecake uses almond flour for the crust which would not work for someone with an allergy to almond. I don’t know how to adapt the recipe ingredients 1:1 but I would try using the gluten free shortbread cookie crust recipe for the Individual Key Lime Cheesecakes and make the filling for the New York Style Cheesecake. If you are still on the fence about which Instant Pot to buy, you can read my review and see how I made teriyaki chicken thighs in the Instant Pot. My Instant Pot has all the features I need and goes on sale often. I love the idea of cooking an entire meal in the Instant Pot and not having to use any pots or pans or a rice cooker. In order to cook Japanese beef curry with rice all in the Instant Pot, you will need a long legged trivet. Otherwise, you can cook the curry in the instant pot and the rice in a rice cooker or pot. I ordered a tall trivet that was less than $5 (affiliate). It’s tall enough for the Japanese beef curry to cook in the Instant Pot and hold up a pan of rice but short enough that I can close the Instant Pot lid. I don’t have a 7×3 inch cake pan either so I bought a set of stackable stainless steel insert pans so that I can do pot-in-pot cooking in the Instant Pot. Pot in pot allows you to cook 2 different foods in the Instant Pot at the same time. For this recipe, I use the larger pan, a lid, plus the tall trivet to cook the rice over the Japanese beef curry. My friend gave me a silicone egg bite maker (affiliate) for my birthday and I love using it. If I didn’t have an egg bite maker already, it might be more cost effective to buy an Instant Pot accessories set (affiliate) that has a 7×3 cake pan, a tall trivet, and other fun Instant Pot accessories. This recipe is free from gluten, peanuts, tree nuts (except coconut aminos if using), egg, milk, and fish as written. Sara and Jane's recipe is shared with permission. Kare-raisu, or Japanese curry rice, is a thick, curried stew of potatoes, carrots, and onions, served over rice. Slightly sweet and often spicy, it is a very common dish in Japan. Every house-hold has its own variation, adding different vegetables, swapping the beef for other meats, or creating different levels of spice to meet their family’s preferences. The electric pressure cooker makes quick work of this dish, which normally takes a few hours to simmer and thicken. To be traditional, kare- raisu should be topped with pickled shallots and eaten with a spoon. Press Sauté on your electric pressure cooker. When the inner pot is hot, add the oil. Brown the cubed beef on all sides, stirring often so the meat doesn’t burn. Add the onion, carrots, turnip, garlic, ginger, and potato to the pot. Press Cancel. In a medium bowl, combine the beef stock, brown sugar, curry, tomato paste, coconut aminos, garam masala, salt, pepper, and red pepper flakes. Whisk to combine, then pour over the meat and vegetables in the pressure cooker. Set a long-legged trivet in the pot over the beef and vegetables, making sure the legs all touch the bottom of the pot. In a 7 x 3-inch (18 x 7.6 cm) cake pan, combine the brown rice and 1 cup (295 ml) of the water. Cover the pan with aluminum foil, crimping the edges gently to seal. Use a foil sling (see page 18) to gently lower the rice pan onto the trivet in the cooking pot. Close and lock the lid, making sure the steam release handle is in the sealing position. Cook on high pressure for 20 minutes. When the cook time is finished, allow a 10-minute natural release, then do a quick release to vent any remaining steam. When the float pin drops, unlock the lid and open it carefully. Press Cancel. Remove the rice pan from the inner pot using the foil sling. Set aside. Using a pair of tongs, remove the trivet from the pot. In a small bowl, whisk together the cornstarch and remaining 3 tablespoons (45 ml) water. Pour the cornstarch mixture in with the meat and potatoes. Stir well. Press Sauté and allow the curry to simmer for 5 minutes to thicken. Taste and adjust the seasonings if needed. Divide the rice equally among serving bowls. Top with the curry. Sprinkle with the chives and serve with the lime wedges. 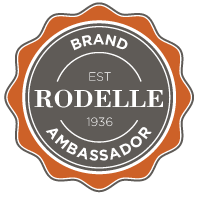 I may mention the names of stores and/or brand names of products that I use, I have not been paid or solicited by any of the above companies to mention them. I share products and sources which I use and think may be helpful to readers, all opinions are my own. 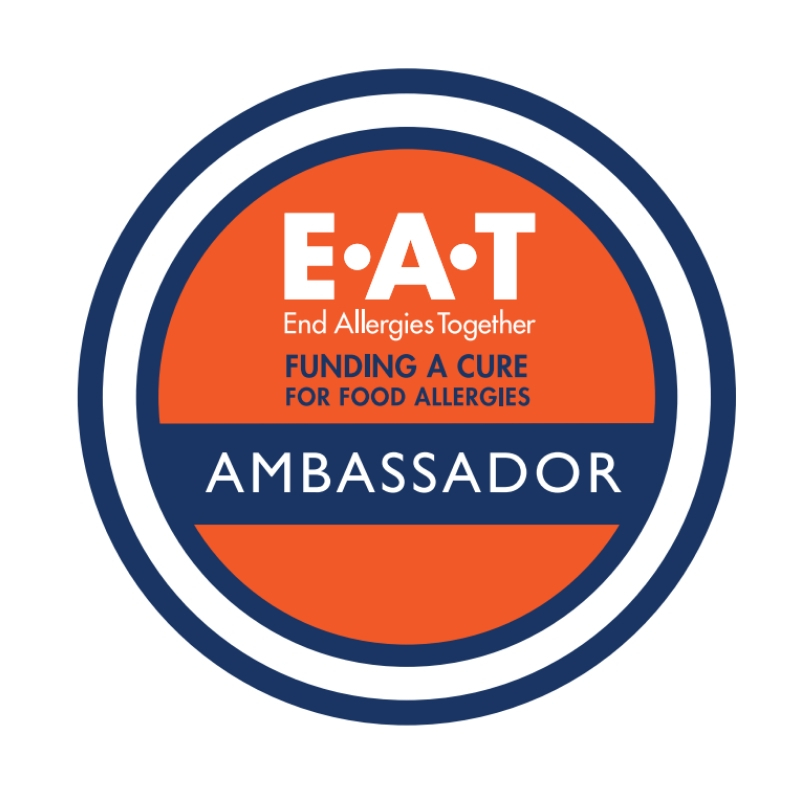 Please note that manufacturing practices and ingredients can change at anytime without notice and readers are always responsible for assuring allergen safety before buying or consuming foods. NutFreeWok.com is a participant in the Amazon Services LLC Associates Program, an affiliate advertising program designed to provide a means for sites to earn advertising fees by advertising and linking to Amazon.com. Love that you can skip those blocks of store-bought curry to make one of my favorite dishes…and in the pressure cooker, too! I’ve been having so much fun cooking from Jane and Sara’s cookbook – what a gem! Yes! 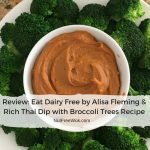 The recipe is a great alternative and much more healthy using simple ingredients compared to using roux blocks. I think I want to try the vegetarian pad thai next, I love that it’s a one pot dish. What a wonderful review Sharon, I love the changes you made to the recipe, and the additional information on allergens is so helpful. Thank you so much for being part of our blog tour, enjoy the book! Thanks Jane for inviting me to join Sara and you on your blog tour, it’s so much fun and I really do love the ingenious recipe. It tasted even better the next day so I would highly recommend this dish as a make ahead recipe for busy weeknight meals.